We all know that the multicultural city of Singapore is one of the best places in the world to shop. The city is home to sprawling shopping malls as well as traditional markets selling everything you could possibly want and more. The Shoppes is the ultimate place to shop if you’re looking for luxury brands in magnificent surroundings while you're in Singapore. You will find designers like Dior, Gucci, Jimmy Choo, Fendi and Prada so get ready to give your credit card a serious workout. Not only will you find designer shoes and handbags but The Shoppes is also home to celebrity chefs, gourmet food, bars and night clubs. If you’re budget doesn’t quite stretch to the designer lifestyle, this shopping mall is still worth a wander round to admire the beautiful building and lap up the luxury doe both inside and out. Calling all gadget geeks and those who love to have the latest technology. Funan IT Mall specialises in electronic goods and can be found near the Civic District. This mall can be a little overwhelming to the amateur shopper as there are 178 electrical shops spread out over six floors. The trick to shopping in Funan IT Mall is to know what you’re looking for and to barter for your goods. There is so much competition that shops are happy to knock down their prices in order to keep your business. You’ll find a huge range of choice and the friendly and knowledgeable shop assistants are some of the best I’ve ever come across so they can offer great advice. 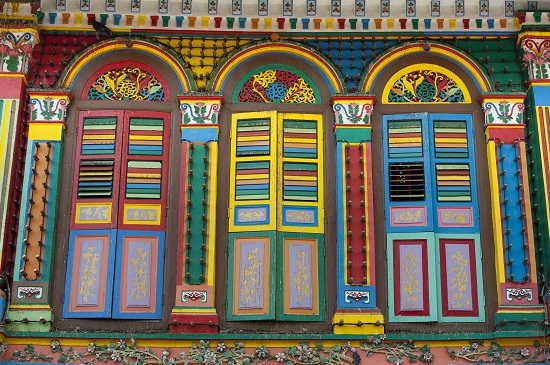 If you’re looking for a unique experience in Singapore, head to bright buildings of Little India and meander among the markets. This area of Singapore is famous for the gold jewellery sold in the many gold shops but you can also find more affordable gifts and souvenirs with everything from clothing to jewellery, sarongs, ornaments, DVDs and CDs. You’ll also find some fantastic and authentic Indian restaurants where you can enjoy a spicy curry and Indian treats. Haji Lane is a vintage shopper’s paradise with boutique stores selling unique items, antiques and bargain goods. You’ll find independent stores as well as up and coming fashion designers from the area. Haji Lane is also well known as having a great selection of Middle Eastern cafes so you can get your fill of delicious Middle Eastern favourites like halloumi, hummus and falafel. The traditional Chinese quarter of Singapore is a great place to explore and see beautiful temples as well as all the usual Chinese souvenirs you would expect. Dodge the hawkers and medicine men if you’re visiting at night but make the most of the inexpensive street food which will put your usual Friday night takeaway to shame. Thankfully, this market isn’t quite as dangerous as the name suggests but it is the place to pick up second hand goods and anything stylishly antique enough to give it the ‘retro’ label. This used to be an extremely affluent area so you’ll find ornate and intricately designed buildings as you shop for bric-a-brack and bargains. You can’t go to Singapore without enjoying a Singapore Sling. Check out our recommendation for the best place to grab the city’s famous cocktail. We've got a great choice of gorgeous hotels in Singapore and if you're looking for a Singapore city break we've got it covered. Don't forget that there's much more to do in Singapore than shopping. Why not visit Sentosa Island while you're there to relax on the beautiful beaches and enjoy the adrenaline fueled delights of the theme parks. Do you know of any other good places to shop in Singapore? If you do, let us know in the comments below. 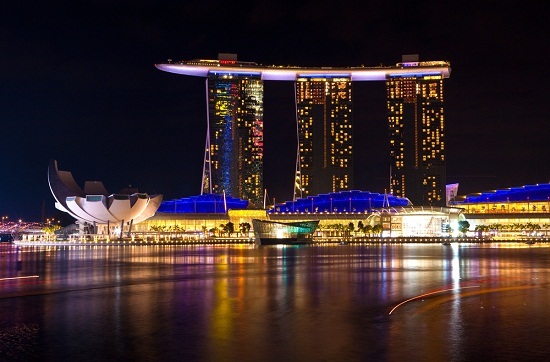 To book your Singapore stopover, make an appointment with one of our Travel Experts.